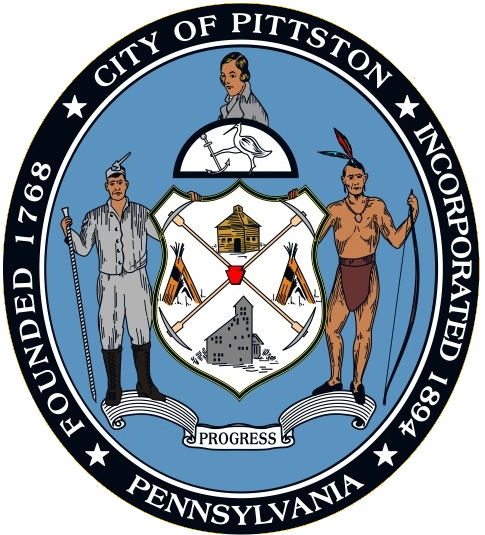 Located on the eastern banks of the Susquehanna River and on the south side of the Lackawanna River, Pittston City is approximately halfway between the cities of Wilkes-Barre and Scranton. The city was first surveyed in 1768 by the Susquehanna Land Company of Connecticut as one of five townships that the Susquehanna Company planned to establish as part of Connecticut’s claim on the area. 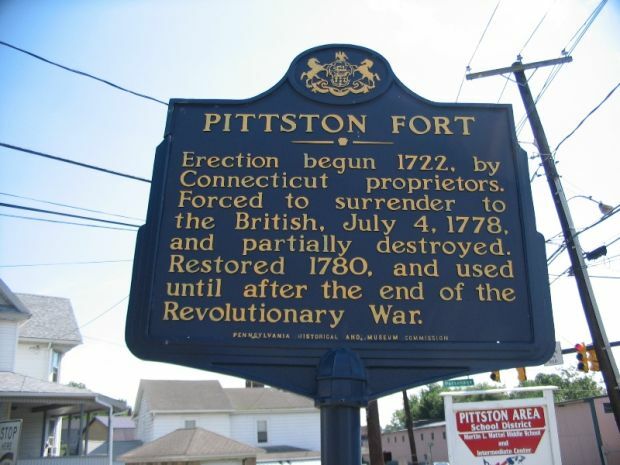 It was originally called “Pittstown”in honor of the famous British statesman William Pitt the Elder. In 1784 the a flood destroyed the original surveyor’s marks, and an act was passed for a new survey to ascertain the land claims of the Connecticut settlers. The land was resurveyed and certified Pittston and contained thirty-six square miles. During the Revolutionary War, the Wyoming Valley was an active battleground between the British and Patriot forces. On July 3, 1778, a force of British soldiers led by Colonel John Butler, with the assistance of about 700 Native Americans, attacked and killed nearly 300 American Patriots in present-day Wyoming. During the battle, 40 Continental soldiers,one of the companies of the 24th regiment that did not take part in the battle, led by Captain Jeremiah Blanchard and Lieutenant Timothy Keyes, held and maintained a fort in Pittstown (Fort Pittston). On July 4, 1778, one day after the Battle of Wyoming, the fort was surrendered on the same terms granted to other forts in the area, namely an assurance of the safety of the lives of the occupants. The Native Americans placed a mark of black paint on the faces of the prisoners from Fort Pittston as a mark of identification to keep them from harm. As soon as possible after the surrender most of the settlers of the fort fled to the settlement on the Delaware, and made their way back to Connecticut. After Fort Pittston was deserted it was partly burnt by the vagrant Native Americans. After two years, the Continentals returned to Pittston, retook the fort and restored it to an extensive and strong defensive stockade. 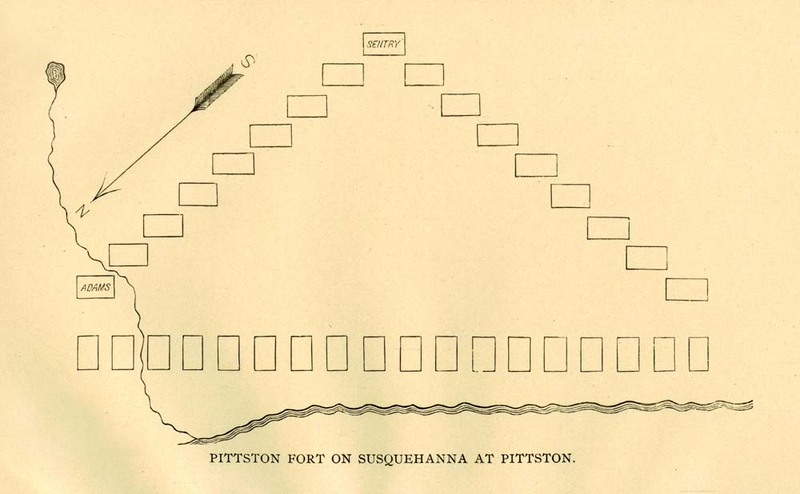 The fort in Pittston remained standing until after the close of the war when the buildings were removed and the fort lot became a common. 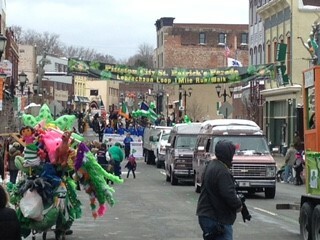 It was used for a number of years as a public parade ground.Today a marker stands at the site where the fort once stood on the corner of Main and Parsonage Streets.